We create authentic travel experiences for mindful independent travelers. Itineraries and activities inspired by the destination's natural beauty, rich history, exotic culture and YOUR PERSONAL INTERESTS. With our guidance, you choose the place, dates, activities, accommodations and companions. We craft your next profound adventure. It's travel your way. EXPERIENCE COUNTS - unrivaled access, special connections, destination savvy. 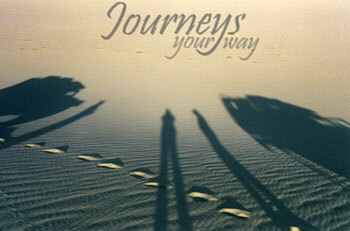 Journeys can turn any journey into a smoothly orchestrated, magical travel experience.